Let’s Talk!–About Art, National Security, Texas, and More! 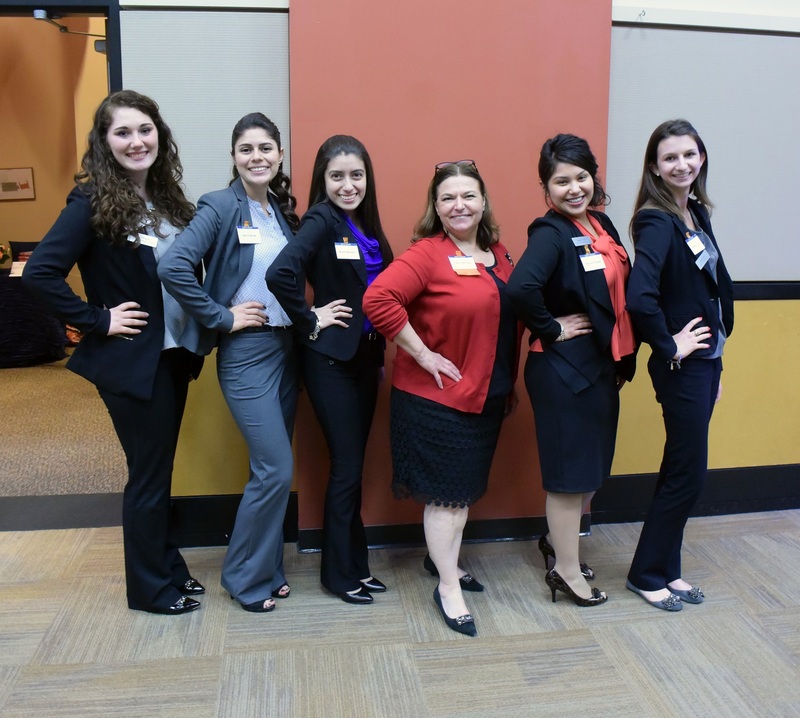 Thursday, March 22 was definitely an insightful day for the LEAP Ambassadors. 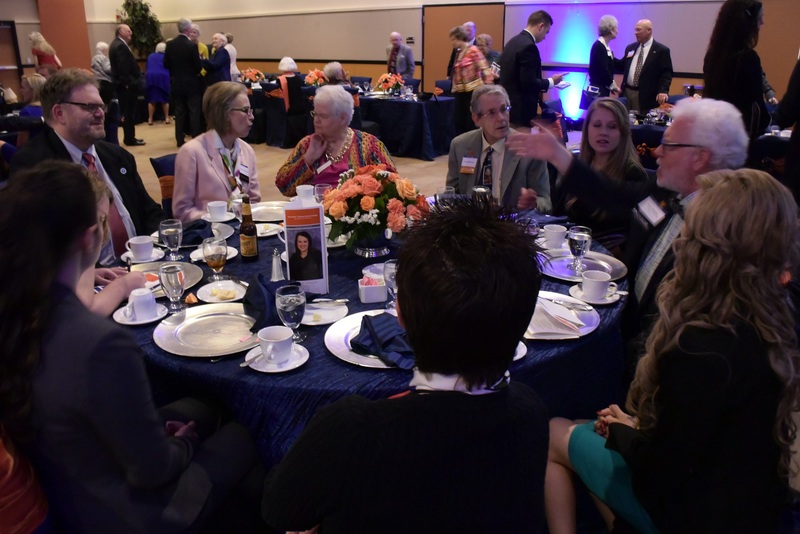 After visiting with former US Attorney General Alberto Gonzales for an hour and a half, and discussing literature with novelist Stephen Harrigan, the Ambassadors attended the 2018 version of “Let’s Talk,” an event designed to raise funds for the University’s excellent Elliot T. Bowers Honors College. To maximize our coverage of the tables and to broaden our experiences, we set (mostly) at separate tables, allowing us to share experiences in our after-action meeting. So, Professor Yawn and Stephanie sat with artist Dan Dunn; Ryan Knesek, Christina Perez, Chase Kennemer, and Beatriz Martinez sat with novelist Stephen Harrigan; Bianca Saldierna and Kaitlyn Tyra sat with Dr. (and Texas Representative) Tom Oliverson; Sawyer Massie sat with Dr. Christopher Maynard (our Associate Provost and an expert on the Cold War); Makayla Mason and Karla Rosales sat with Nadav Morag (an expert on Homeland Security); and Ryan Brim sat with Benjamin Park (who discussed the phenomenon of “Hamilton”). But before the actual program began, renowned speed painter and Sam Houston Alumni, Dan Dunn gave a presentation to the audience. His talent wowed the audience, and his performance showcased humor and ingenuity. 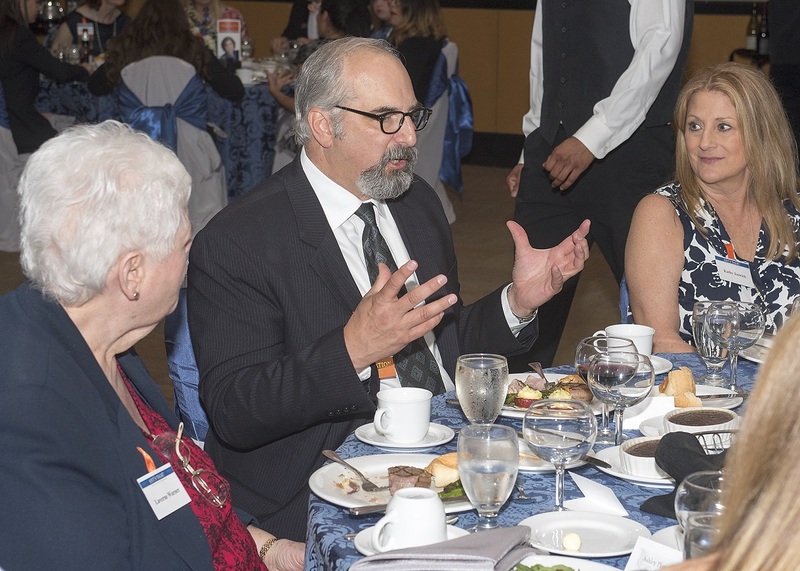 In the meantime, between the painting and before the auction which occurred at the end, students were given the opportunity to converse with successful Alumni and professors. Topics were given free range and each personality at the table contributed something new to the conversation. To break the ice, we discussed several topics relating to our generational gap. Our earliest memory of a historical event, ranging from the Cuban Missile Crisis to 9/1, and sparked discussion about what made it so impactful on lives and how it impacted the world. Along with the discussion of historic events, we discussed our favorite authors along with movies, and how those works have adapted over the years. The LEAP Ambassadors were able to talk more with Stephan Harrigan about his experiences working with Robert Duvall and other experiences that revolved around Texas history, gaining a little more insight on what they do as writers. …and pose with him in front of his newly-created art! 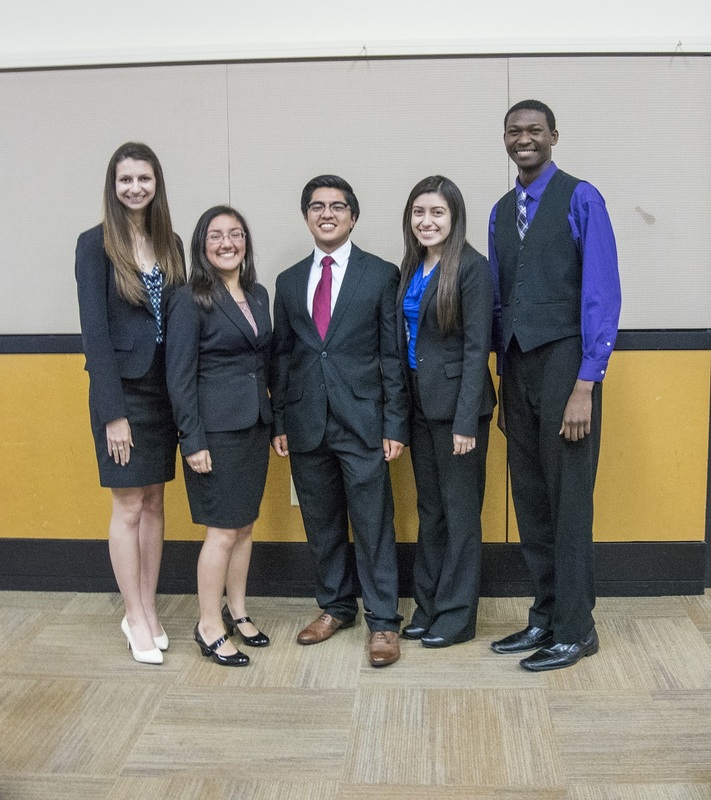 LEAP had an excellent time at the Honors College event and look forward to our next event: Mock City Council! Author mikeyawnPosted on May 22, 2018 Format AsideCategories Art, Civic Engagement, Food, Law, Literature, PoliticsTags Dan Dunn, LEAP Ambassadors, LEAP Center, Let's Talk, Sam Houston, SHSULeave a comment on Let’s Talk!–About Art, National Security, Texas, and More! 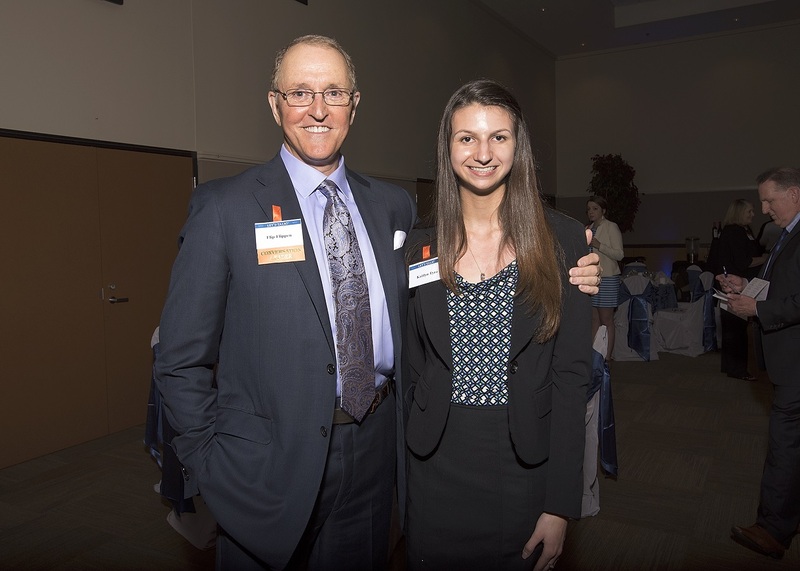 In the middle of a busy week for the LEAP center, the Ambassadors made time for a day of “Let’s Talk.” This event is one of our favorite, giving us, SHSU faculty and staff, and the community a chance to dine with guest speakers from all over the country. 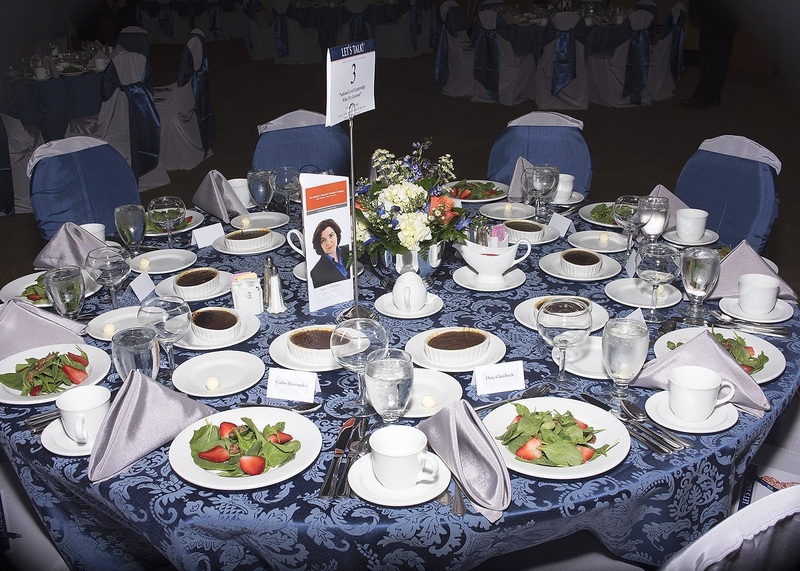 With speakers ranging from paranormal activity investigator Kenneth Rigali to Jiu-Jitsu instructor Daniel Rivas to true-crime author Kathryn Casey to Former Attorney General Alberto Gonzales, it was difficult to choose which table at which to sit. But before the actual event itself, the LEAP Center, as the sponsor of four of the speakers, had a day full of activities. 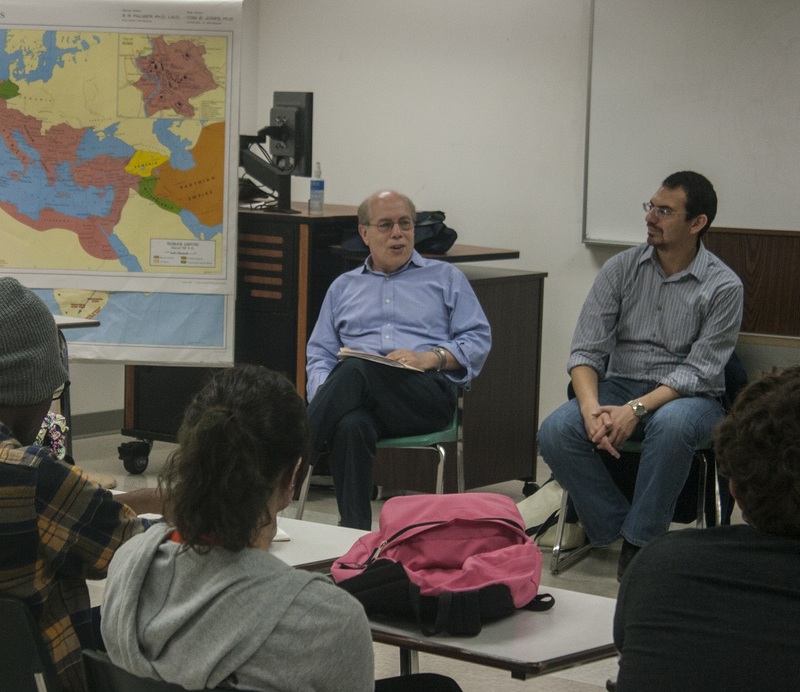 Pulitzer Prize winning journalist Glenn Frankel, for example, visited with Dr. George Diaz’s Texas History class…. 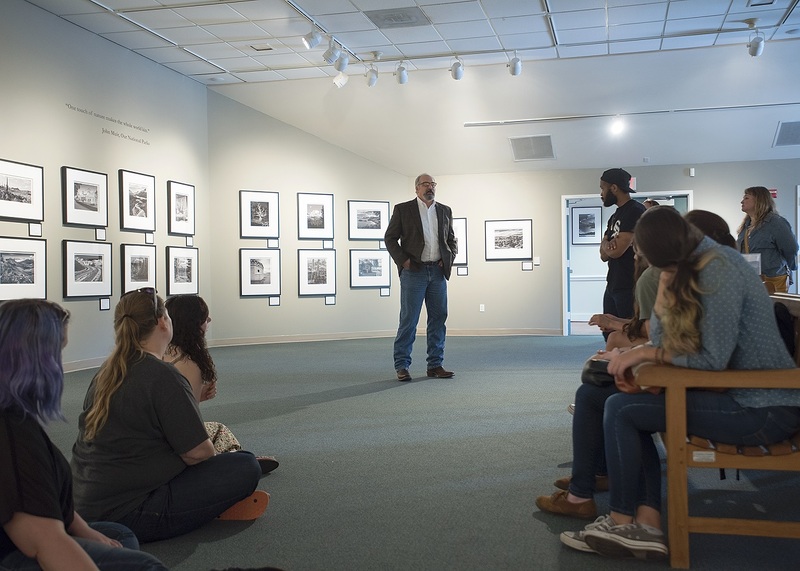 Mark Burns also led a classroom discussion, but his classroom was moved to his exhibit space at the Walker Education Center. Dr. Rebecca Finley’s class met there and had the chance to not only meet with Burns, but do so in the midst–literally–of his work. …and then by an introduction from President Hoyt and dinner. 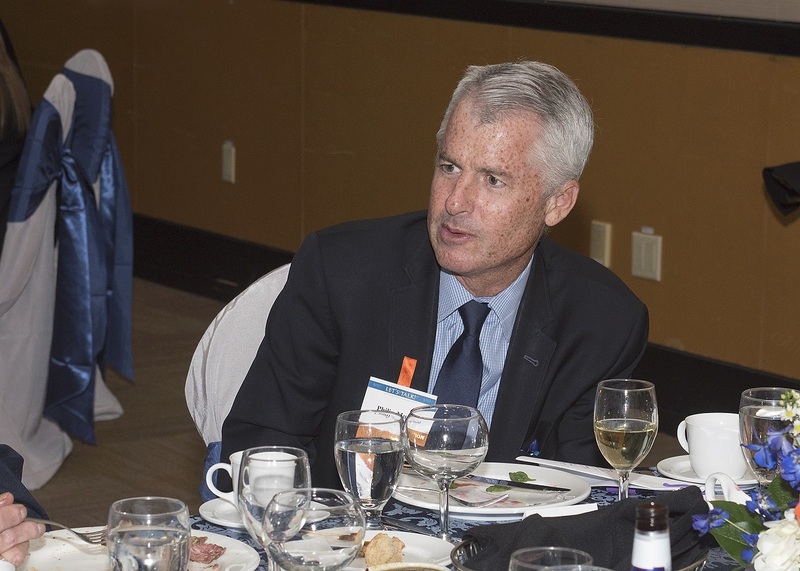 I was dining with Mr. Bill Hensel, who was the External Affairs Manager for the Port of Houston Authority. 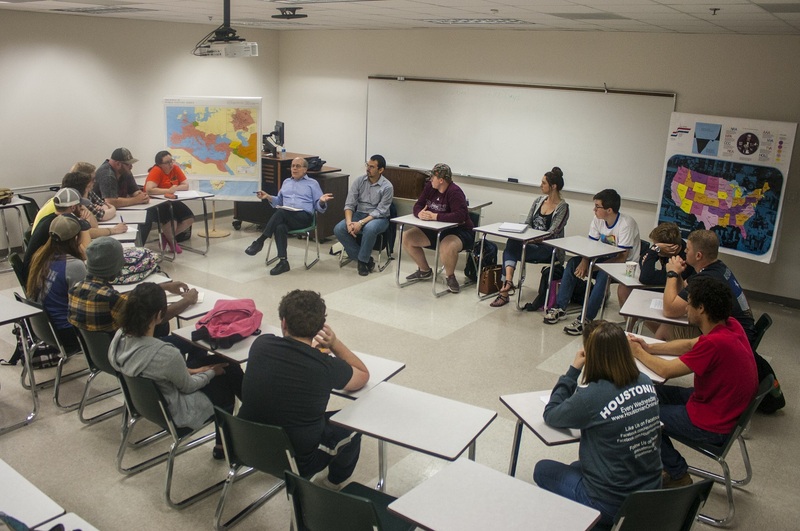 We were joined by former Houston Post journalist Mrs. Hensel, Conroe’s Community Impact Newspaper Editor Jesse Mendoza , a Sam Houston State University web editor, Houston World Affairs Council representative Sandija Bayou and her two colleagues, and Sam Houston State University Political Science Professor Mike Yawn. Mr. Hensel began with a discussion of the historical background of the port and, particularly, Congressman Tom Ball’s contribution to the Ship Channel. We also learned of the every-day activity of the port, the disruption resulting from weather events, and anti-terrorism measures. For someone who was not very familiar with the modern marvel that is the Port of Houston, it was a rewarding experience to learn how crucial the Port of Houston Authority is to American commerce. 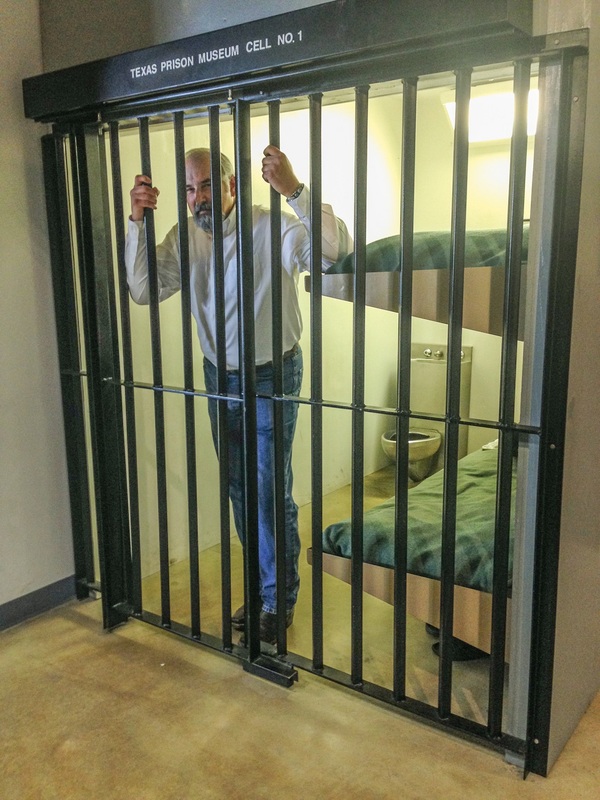 But apart from his current profession, it was just as pleasant to learn of Hensel’s past journalism experience. Before his employment by the Port of Houston Authority, Hensel had worked for the Houston Chronicle. With all of his past experiences in journalism and now local government, combined with the perspectives of all of us sitting in the table, every question and comment directed towards Hensel served as an extra ingredient that at the end would makeup a very rich conversation. 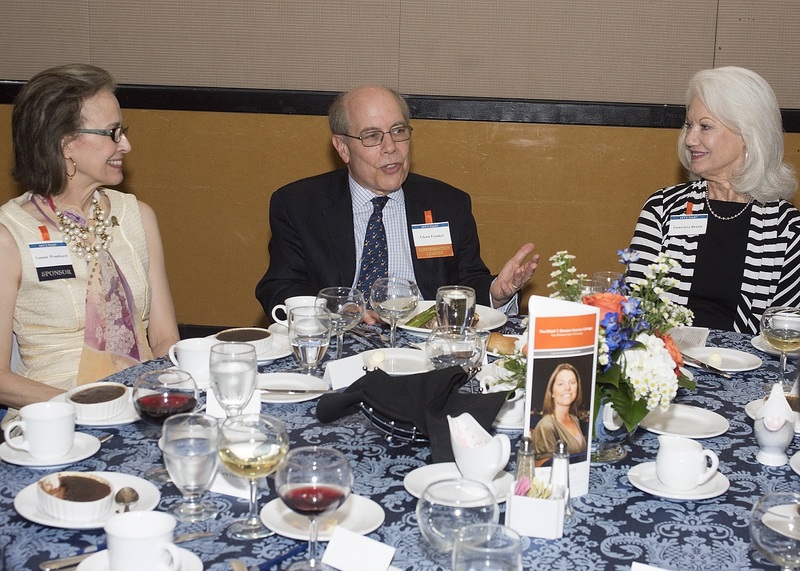 At the end of the dinner we all slowly rose from our seats as if we were unable to pull ourselves from our captivating speakers, exchanged business cards, and thanked Hensel for his willingness to share so much about his career. Other Ambassadors sat at the table of Iron Chef Michael Frietsch, the table of artistic directors Andy and Dionne Noble, Paranormal Investigator Kenneth Rigali, and financial advisor Flip Flippen. …the evening was engaging and fun. With so many bright minds sharing their professional joys and struggles, it was easy to be inspired. Although all the professions practiced by these guests were very different, the spirit that has impulsed their success is identical. Unspoiled by the desire for fame or wealth, this spirit of dedication and passion is what every speaker had to offer. This virtue embodied in our special guests is what made my Let’s Talk experience so rewarding. 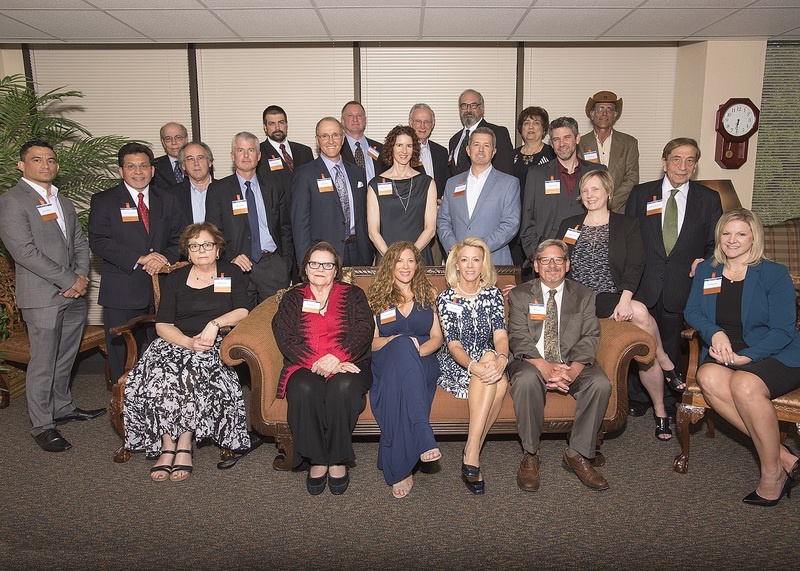 Author mikeyawnPosted on April 20, 2016 Categories Art, Civic Engagement, Food, LiteratureTags Flip Flippen, Glenn Frankel, Houston Port Authority, Kathryn Casey, LEAP, Let's Talk, Mark Burns, Philip Mudd, SHSULeave a comment on Let’s Talk–About Almost Everything! After an eventful afternoon with Ms. Nancy Bocskor, LEAP Students headed to the Elliot T. Bowers Honors College Let’s Talk event for an evening of informative conversation with some of the state’s most esteemed professionals. 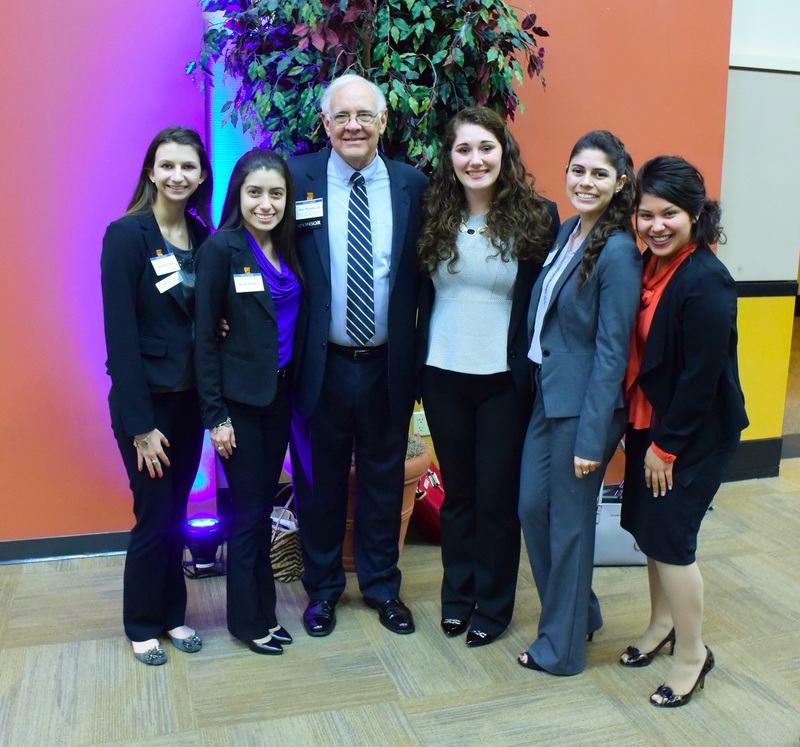 LEAP students enjoyed diverse speakers ranging from FBI Special Agent and SHSU Alum Daniel Fuentes to Honorable Robert Eckels, President of the Texas Central High-Speed Railway. 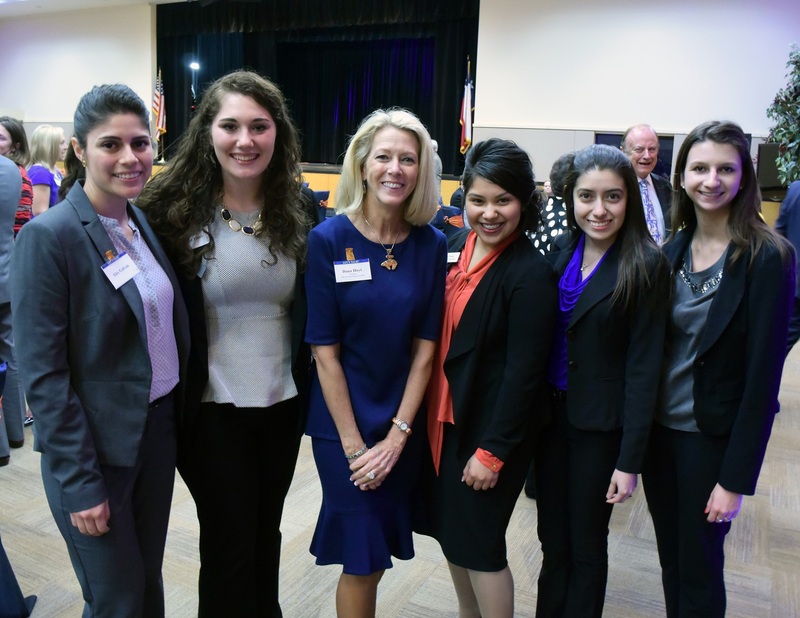 Karla Rosales and Megan Chapa dined with SHSU Alumni Ms. Patti Foster, a traumatic brain injury survivor. Megan Chapa found Foster “extremely inspirational!” and Karla Rosales found both the human story and the science behind it to be fascinating and encouraging. 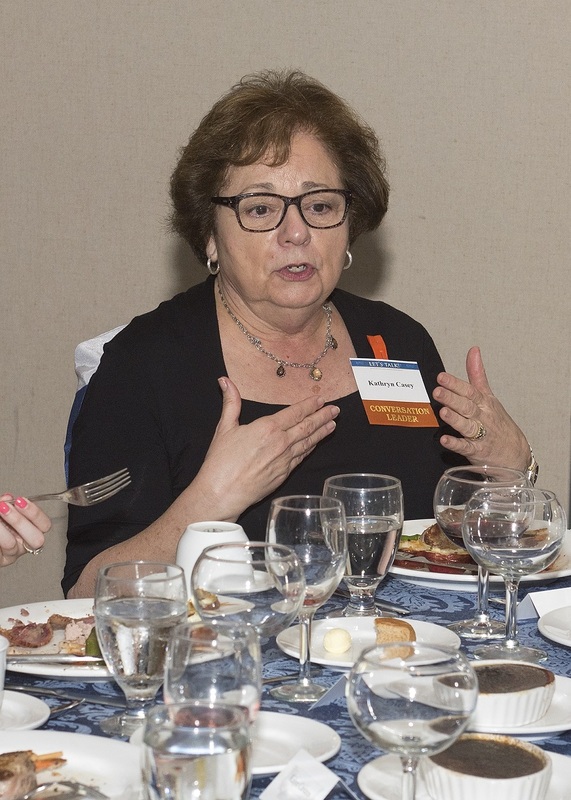 …speakers from other tables, and revisit with Nancy Bocskor, who stayed late to visit with the honors students. Overall, Let’s Talk gave students the opportunity to converse with professionals whom they normally wouldn’t have the opportunity to interact with and gave them the opportunity to learn about topics personally interesting to each student. Many thanks to all the speakers, Ms. Jacel Angel, and the Elliot T. Bowers Honors College for a wonderful evening.